Lock in a great price for Edoné Home Boutique Holiday - rated 9.2 by recent guests. Wonderful view. Very clean and well maintained. Staff was very friendly and helpful which made our stay memorable. It is a place to relax and enjoy nature without being far away from tourist attractions. People were extremely helpful, and the location is really fantastic. 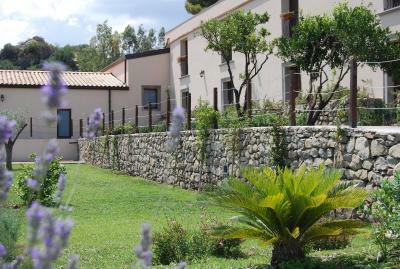 It is great for both the exploration of the Etna region and of the coast. Taormina is closeby. The food in the restaurant is something you should not miss! Authentic Sicilian food! Great location,great people ,great food,when you loves to stay at quiete place.......you are in the right location A piece of paradise in sicily there is noting like it,more then an agriturismo. Thank you Anna Tanina and the staff. The room was very cozy and clean! The staff was kind and interested. Also really helpful in guiding you to the best places. Breakfast was nice and there was plenty of it. Dinner was really good to try at least for one night! Traditional Sicilian home cooking. Nice pool and country side. Not to far from the village where they have a small supermarket and a pharmacy. They drive to Taormina is really easy. Great city as well! Absolutely worth a visit! This place is a gem. Beautiful views, extra clean and luxurious rooms. We had the family suite and it was great! Staff are very warm and welcoming and everything was superb. The swimming pool was nice. Room and bathroom vet comfortabel. Loved every thing about Edone, would return in a heartbeat. We had a fantastic room! Very Nice people and a beautifull garden and pool area. Beautiful location and tastefully decorated room. Staff were so attentive. My partner and I had a wonderful stay here. Highly recommended. 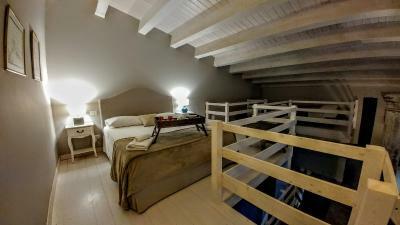 One of our top picks in Graniti.Set in a historic building from the 17th century, Edoné offers country-style accommodation on a working farm producing olive oil, jams and vegetables. The property is located a 5-minute drive from Graniti. 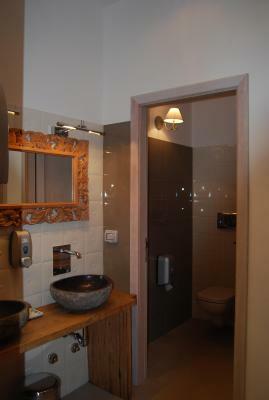 Accommodation at the Edoné features air conditioning, a TV and a private bathroom with a hairdryer. Some rooms come with a four-poster bed. Guests can rent bikes on site, and enjoy the sun terrace. Pastries, bread and juices are provided daily for breakfast, while omelettes, cold cuts and cheeses are available on request. The restaurant is open for lunch and dinner and serves homegrown produce. Several scenes from The Godfather were filmed on site. 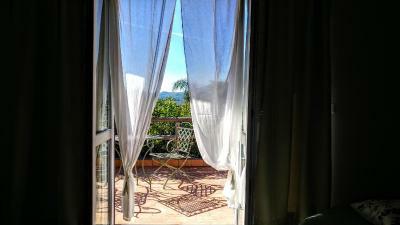 The property is 6.2 miles from the beach, while Taormina is a 25-minute drive away. Edoné Home Boutique Holiday has been welcoming Booking.com guests since 18 Jun 2013. When would you like to stay at Edoné Home Boutique Holiday? With a sofa and small fireplace, this split-level suite comes with air conditioning, a TV and a private bathroom with a hairdryer. 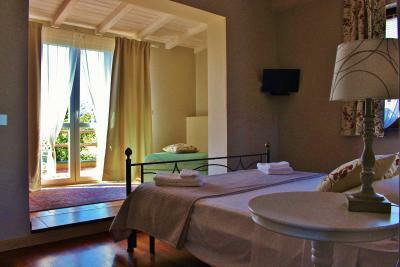 This twin/double room features air conditioning, pool view and private pool. House rules Edoné Home Boutique Holiday takes special requests - add in the next step! One child from 4 to 13 years is charged 60 % of the room stay per night and person in an extra bed. One child from 14 to 18 years is charged 80 % of the room stay per night and person in an extra bed. ATM card Edoné Home Boutique Holiday accepts these cards and reserves the right to temporarily hold an amount prior to arrival. Edoné Home Boutique Holiday accepts these cards and reserves the right to temporarily hold an amount prior to arrival. Please inform Edoné Home Boutique Holiday in advance of your expected arrival time. You can use the Special Requests box when booking, or contact the property directly with the contact details provided in your confirmation. Near to locate areas to see family and friends. Personnel and amenities were excellent. Food was good, but a little expensive. Breakfast OK but could be much beter, as we found out at other locations.